Encountering too many potholes? Could mean it’s time for an alignment! Don’t you just hate trick questions? Here’s the deal. It’s not just in Kennedale that it’s important to get your vehicle’s alignment done on a regular basis. 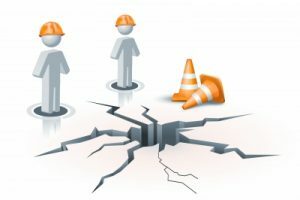 No matter where you live in the DFW area, there’s always some place where they’re working on road construction (or at least they need to be). That means, from time to time, your car, truck or van is going to be running through some potholes, even in Kennedale. Too often you encounter those potholes and that’s going to result in your vehicle needing an alignment. So, just how often should you get an alignment for your vehicle? Here’s the good and bad of it. Typically there is no specific set time frame or requirements. However, the general guideline is to have your vehicle’s wheel alignment done every two – three years. Another rule of thumb to help you determine how often to get your vehicle’s alignment done is based on how often you get new tires. When they’re being installed is a great time to get that alignment done. your teenager borrows the car and runs over a curb. Typically, the roads in Kennedale are pretty good. You may not have anything to worry about. But wouldn’t it be nice to have some peace of mind? Swing on by B&M Auto Specialists and let us check it out for you. We’re not far from Kennedale. In fact, our garage is conveniently located in Mansfield. Why not schedule an alignment appointment for your car, truck or van? You can relax, knowing our mechanics will take good care of your vehicle.